Collins Booksellers - Birth of a New Consciousness by Jaap van Etten, 9781622337613. Buy this book online. Contribute to the Birth of a New Consciousness! We usually base our perception of reality on what our five senses receive, particularly sight. The majority of people believe that our visual interpretation of the world is real. However, the world we live in actually consists of many different worlds, most of which are invisible for us. All these worlds are part of Gaia and make up the reality we live in. This book contains dialogues with the Sidhe, a race of human-like beings who are our direct relatives. They are invisible to our five senses and occupy one of the subtle worlds that are an integrated part of Gaia. In the discourses presented in this book, the Sidhe and the author share how they view their respective worlds. Exploring the similarities and differences between our worlds can help us to see our human world in a different perspective. The Sidhe also share aspects of the subtle worlds that we are part of but are hardly aware of. 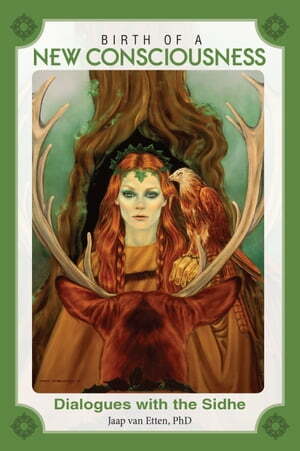 The dialogues help the Sidhe and us to see our respective gifts and self-induced limitations. These conversations strongly invite us to look at ourselves and indicate the need for a more-inclusive, more-expanded new consciousness. By collaborating with the Sidhe and other beings from the subtle realms, such as nature spirits and unicorns, this new consciousness can be created and a new world can be born. To achieve this, we need to raise our vibrations and expand our views of reality. This book invites you to embark on a journey. This journey is actually the journey of every soul who comes to Earth. The book stimulates you to raise your vibration and expand your view of reality by giving many suggestions how to do so. It truly can be called the start of a new consciousness.